Lois Weber, Hollywood's Forgotten Woman Director, Has 2 Films Restored The first American woman to direct a feature-length drama, Weber made woman-centered films with daring commentary. She's barely known now, though the rerelease of two major works may change that. Though her works have largely been lost, Lois Weber made at least 138 films before 1940 — many of which addressed social issues like capital punishment, urban poverty and birth control. 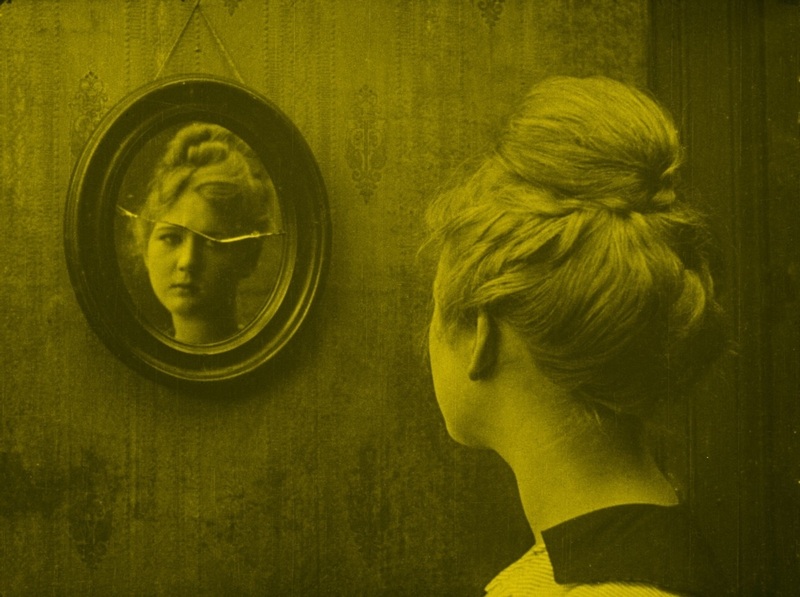 As Hollywood continues to struggle with the underrepresentation of women behind the camera, most people have forgotten that 100 years ago, one woman ruled. Her name was Lois Weber. Counting shorts and feature-length movies, she directed at least 138 films — all before 1940. She became the first American woman to direct a feature-length dramatic film with The Merchant of Venice in 1914. "In her day, she was considered one of the three great minds of the early film industry, alongside D.W. Griffith and Cecil B. DeMille," says Shelley Stamp, a film historian at the University of California, Santa Cruz. Today, most of her works are virtually impossible to see. But two of her most important films have now been restored and released to theaters and on disc. Shelley Stamp wrote a book about Weber and the notes for the new DVDs. She says the filmmaker often took a different tack from her contemporaries. "She was a very vocal advocate for cinema's ability to portray complex social issues in a popular narrative form," Stamp says. "She considered cinema what she called 'a voiceless language.' And by that I think she meant cinema had an ability to convey ideas to anybody, regardless of their educational level, regardless of their command of English, right, at a period when there were many immigrants to the U.S. who did not speak English as a first language." Weber was born in 1879 outside Pittsburgh to a religious middle-class family. She was a child prodigy pianist who spent two years playing organ and evangelizing around the city. "She started preaching on shop corners, and when she went to New York, she started working at these Salvation Army-type places to help people," Dennis Doros says. With his wife Amy Heller, Doros co-founded and runs Milestone Films, which is releasing the restored version of Weber's movies. "She was never really a preacher, but she was always an activist for the poor." In Shoes (1916), a young woman providing for her family with a poorly paid retail job prostitutes herself to replace her sole pair of shoes. Heller quoted a 1914 interview of Weber: "In moving pictures, I have found my life work. I find at once an outlet for my emotions and my ideals. I can preach to my heart's content, and with the opportunity to write the play, act the leading role and direct the entire production, if my message fails to reach someone, I can blame only myself." Before she became a filmmaker, Weber left evangelizing to tour the country as a concert pianist — until one night a key broke and shattered her nerve to perform. She left the concert stage for the theater stage, and eventually directed her first short film in 1911. From early on, she advocated for complex roles for women and for serious engagement with social issues. According to Stamp, Weber made films about the fight to abolish capital punishment, about drug addiction, about urban poverty, about the campaign to legalize contraception. Weber took up the cause of young women going to work in her 1916 film Shoes, which has been released by Milestone with a new score. "She takes on an issue which many social reformers of the day were interested in," Stamp says. "That is: the plight of young women who had entered the paid labor force, were working in the retail sphere — either in department stores or five-and-dime stores — and were woefully underpaid. Many of them were supporting themselves, living on their own in urban centers, or the primary wage earners in their family, as the heroine of Shoes is." Forced to support her family by a layabout father, the heroine Eva prostitutes herself so she can replace her only pair of shoes — which are literally falling apart. The internationally renowned ballerina Anna Pavlova plays the mute girl at the center of Lois Weber's The Dumb Girl of Portici (1916), one of two Weber films recently restored and reissued. The same year that Weber wrote and directed Shoes, she was entrusted with Universal Pictures' anchor film, The Dumb Girl of Portici (dumb as in mute). It stars internationally famous Russian ballerina Anna Pavlova in a sweeping historical epic. Milestone's Dennis Doros says it was not easy to restore the antiquated scraps of surviving film stock. "Universal had a major nitrate fire in the 1940s, so most of their master material went up in flames," Doros says. "About five years ago, the Library of Congress decided that they would do it. And they got the 16 mm from the New York Public Library, the 35 mm nitrate material at the British Film Institute, as well as 35 mm material they had. These were various different versions from different eras. And they were able to scan it, and it took them two years to edit together what is most likely the version that showed in 1916." The fact that most of Lois Weber's films are lost is just one reason she's been written out of film history. Shelley Stamp says that the men who controlled Hollywood financing did not respect the notion of women filmmakers — and both the film industry and its audiences turned to entertainment over social commentary. 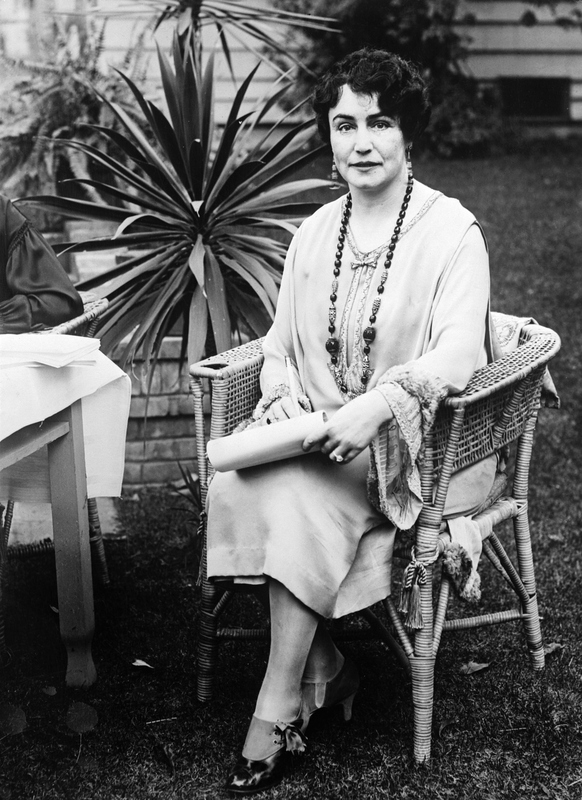 Lois Weber died penniless in 1939. Friends paid for her funeral. "History failed her," Stamp says. "She has been forgotten in a way that does not do service to really an extraordinary pioneer of American filmmaking. Had we remembered her career early on, we would have had decades and decades of female filmmakers' work to look at. We don't, and that's the consequence of forgetting her." 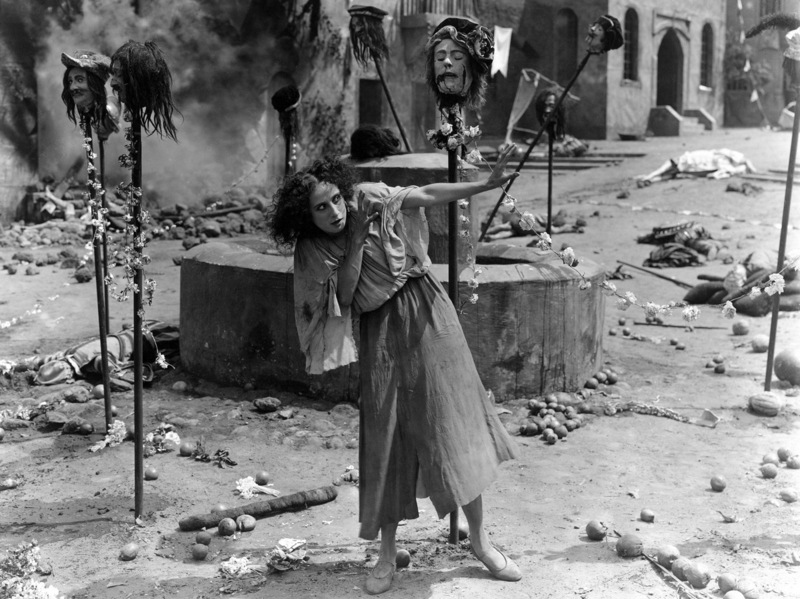 In other words, the films of Lois Weber are not simply museum pieces. She actually did what many young women filmmakers now say they want to do — bring a woman's perspective to American studio filmmaking.